The Japanese are a bit crazy about prawns, but when you look at the mind-bogling varieties available in this country, no wonder i’m gladly following into their steps. 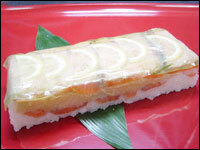 I have already introduced the basic professional recipe for Japanese-style deep-fried prawns. Here is another easy-to-follow basic professional recipe for sauteed prawns. I will skip quantities as this is a general recipe opened to variations. Incidentally Sauteed Prawns in Jpaanese is Ebi Itame/海老炒め. -Wash the prawns. Sponge off the water. Take heads off. Cut the prawns along the back across the shell as deep as one third from the tail to half the thickness by the “head end”. 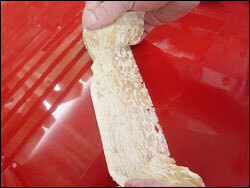 -Get rid of the innrds by inserting a toothpicke under them and pulling upwards. 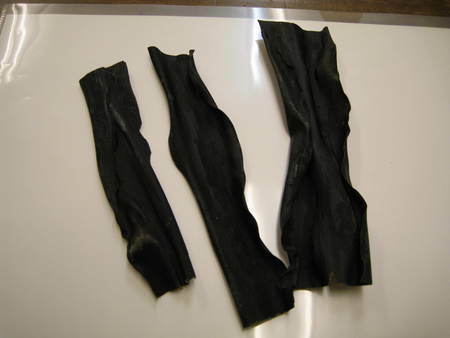 Clean the flesh with some kitchen paper. 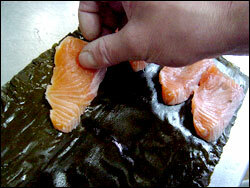 -Prepare a light batter with 2 tablespoons of flour, a lttle salt and pepper, and water. Dip the prawns in it completely, including inside the cut. -Prepare a filling with finely chopped garlic and parsley, salt and pepper to taste and some cornstarch (just enough to hold it!). Fill the slit made along the back of the prawns with it. 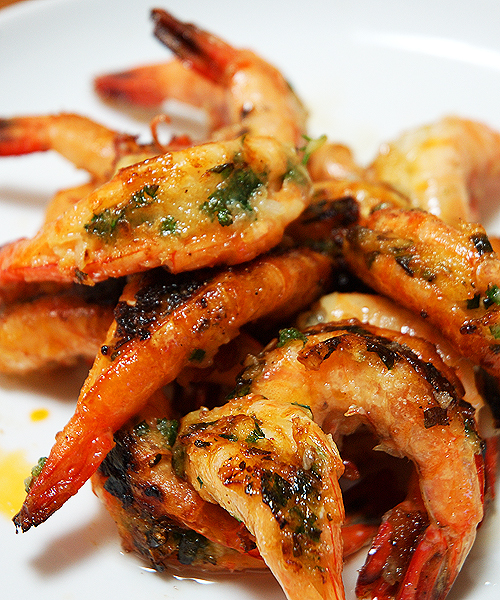 The batter you have dipped the prawns will add the necessary zest. -Pour oil in a fry pan and heat. Place the prawns with their indented back down. Press with the ladle long enough to help the heat penetrating the whole prawn. Turn prawns onto their side and cover with lid. -Once the prawns are 95% cooked, take off lid, pour some japanese sake (or barndy) and stir around once. If you think that your prawns lack a bit of zip, add salt (little, please! ), pepper and chili pepper (or other spices) before adding the sake. 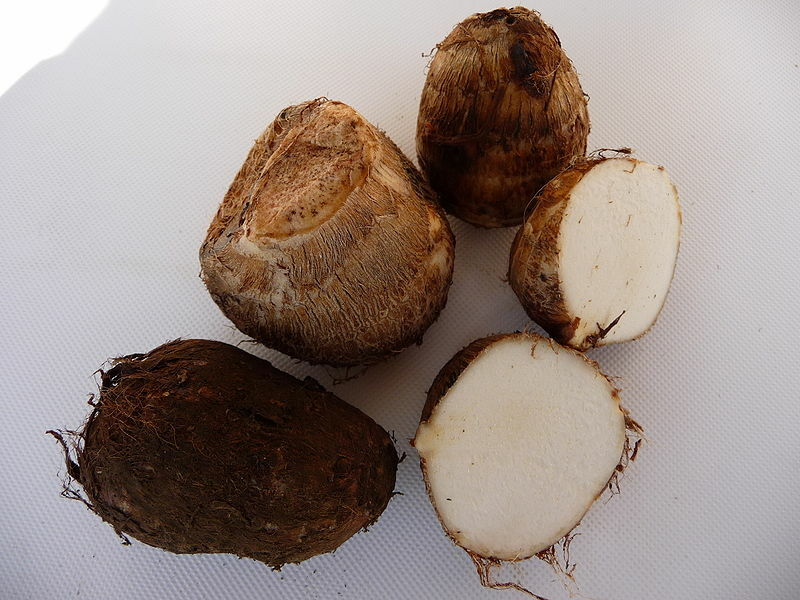 Still working on a whole bunch of simple and healthy recipes with taro, or sato imo/里芋 as they are called in Japan that should please my vegan and vegetarian friends! 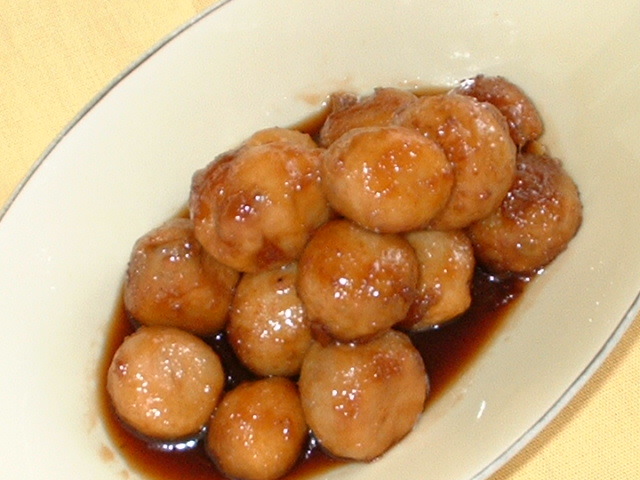 It is a very simple dish that should provide food with a filling sensation to vegans. Great for kids, too! 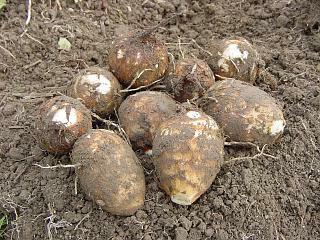 -Peel the taro/sato imo, cut them in 1 cm thick slices and boil until soft. Drain. -In a fry pan, heat the oil on a low-middle fire. Add flour and mix well with a spatula. Add soy milk and sweet white miso. -Keep stirring. The mixture will eventually thicken. 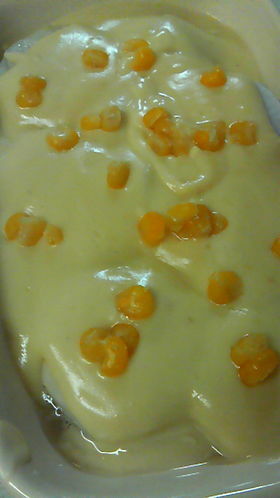 Lower the fire and keep stirring well until it has reached the thickness of a white/bechamel sauce for gratins. 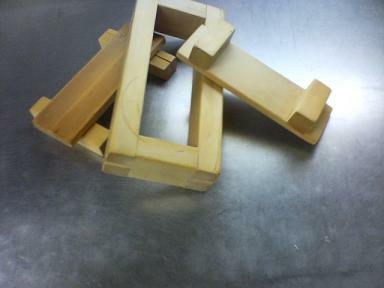 -On an oven plate place the taro/sato imo. Pour the gratin sauce all over. Top with corn and breadcrumbs. 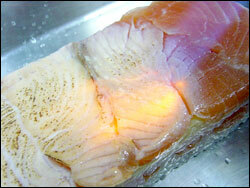 -Cook in oven (180 degrees Celsius) until it has attained the colour of your liking! The picture above was taken before sprinkling the gratin with breadcrumbs. You can use the same recipe with vegan pasta instead of the taro/sato imo! 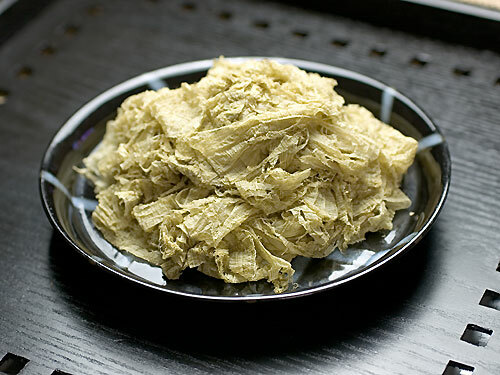 I’ve found a whole bunch of simple and healthy recipes on taro, or sato imo/里芋 as they are called in Japan that should please my vegan and vegetarian friends! 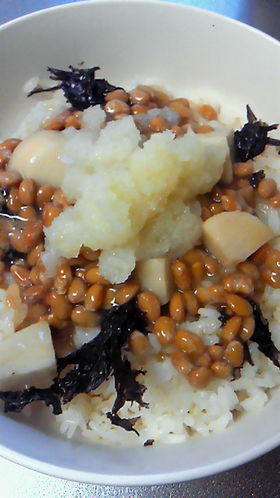 This one is called “Natto no Tororo Donburi/納豆のとろろ丼”, or Taro, Natto & Grated daikon (on a bowl of rice). 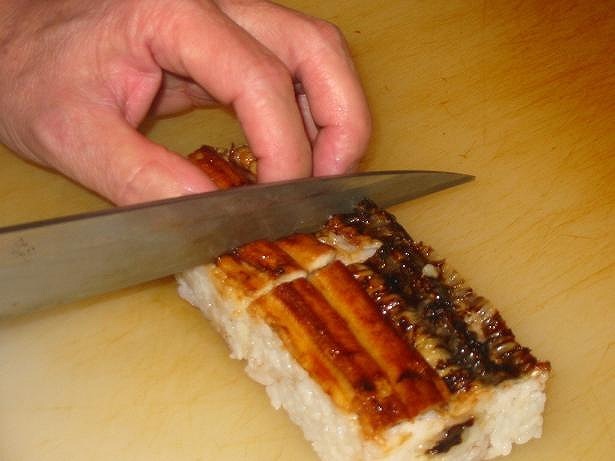 It is a very simple traditional Japanese dish that will provide a very healthy meal to vegans! 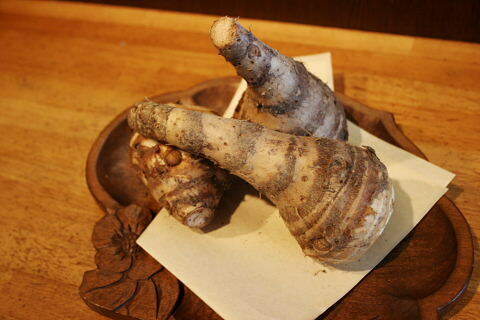 -Boil the taro/satoimo in seaweed dashi stock soup or water, salt and soy sauce until tender enough. 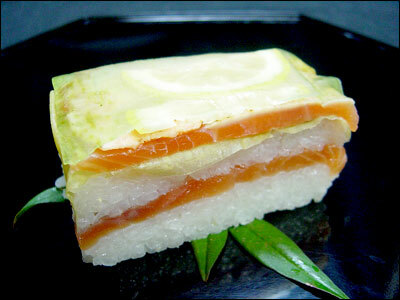 -Mix the cornstarch in the same amount of water and add to taro/satoimo to obtain a smooth soup. -Add natto and cok for a minute or two. Switch fire. 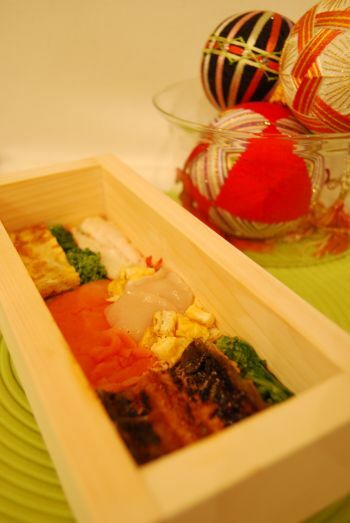 -Fill a bowl with rice with frshly steamed rice. Top with seaweed, then pour the the taro/satoimo over rice. 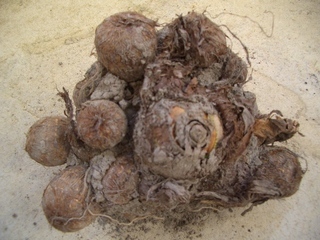 -Mushrooms, like namakotake or shimeji can be added for more taste to the taro/sato imo. 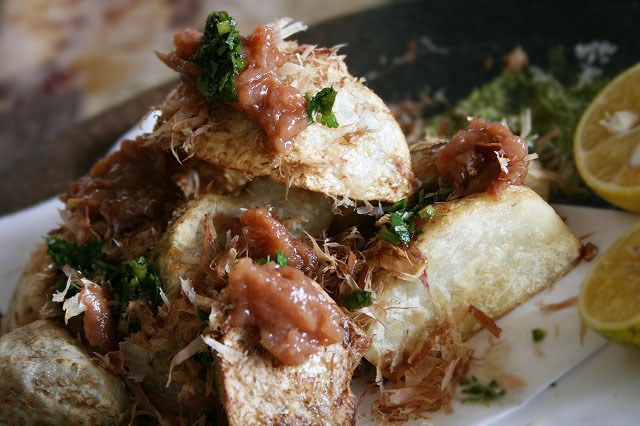 -As said above adding chili powder to grated daikon is very popular in Japan! As we are going through a slimming phase (BIG business here in Jpaan! 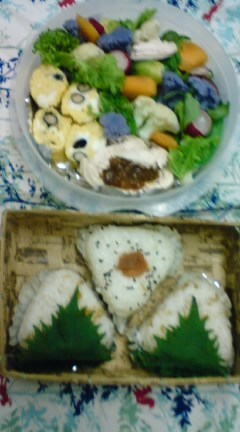 ), today’s bento bento is definitely on the lean side. I’m not one to complain a I like my bento healthy and tasy! For the rice part, three simple triangular musubi/rice balls made with her new musubi gadget. Freshly steamed this morning one contains a umeboshi/Jpaanese pickled plum and seasoned with black sesame seeds and the other two tiny grilled shirasu/hard moth sardine whiting. 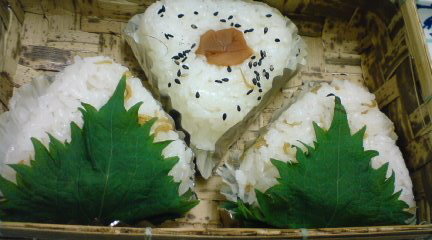 The last two are wrapped in shiso/perilla leaves. As for the garnish, it certainly was colourful! 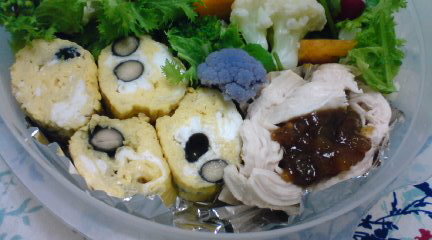 The tamagoyaki/Japanese omelette contained stewed black beans (look at their eyes! ), and the home-made chicken ham wa seasoned with English chutney brought to me by Lojol. 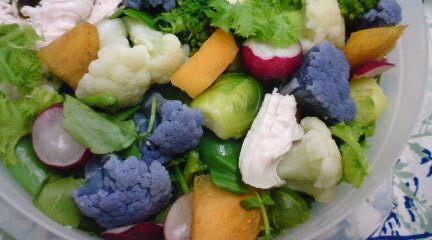 It was laid over a bed of cress and contained cress and wasabi lettuce (not relatied to wasabi), boiled broccoli, white cauliflower and violet (which turned blue!) cauliflower, Brussels sprouts, savoury peas in their pod, more chicken ham, sliced radishes and pieces of jirou kaki/squat persimmon. 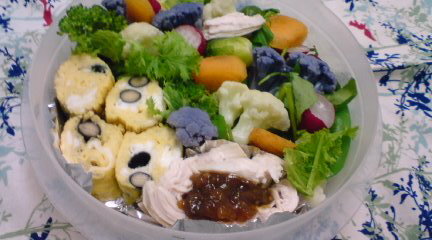 The colours would qualify this bento for a health contest! 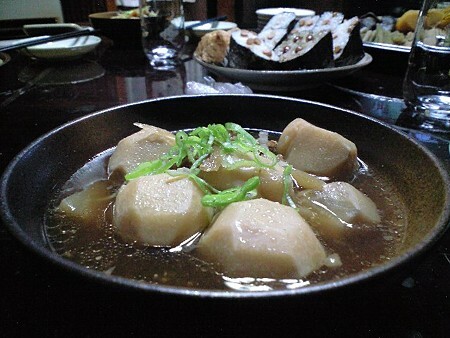 This one is called “satoimo nakake/里芋餡かけ” or taro in sweet and sour sauce. It wiil make for an excellent snack to go with a drink! 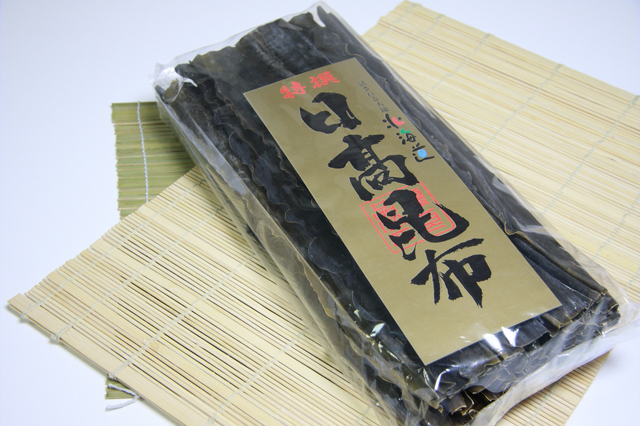 -Soften the taro/sato imo inside a microwave oven. 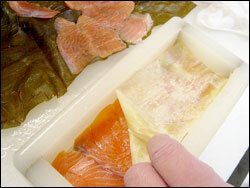 Peel them and cut them in halves. -In a pan, pour yhe dashi/soup stock, sake, mirin and grated ginger. Let simmer for a while. Add salt for taste. 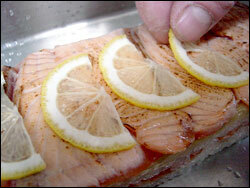 -Mix the water with the cornstarch and add to soup sauce. Stir well until smooth. 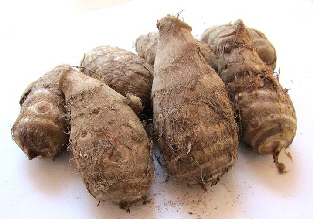 -Roll taro/sato imo in cornstarch and deep-fry in 180 degrees Celsius oil until they are cooked to a saisfying colour. 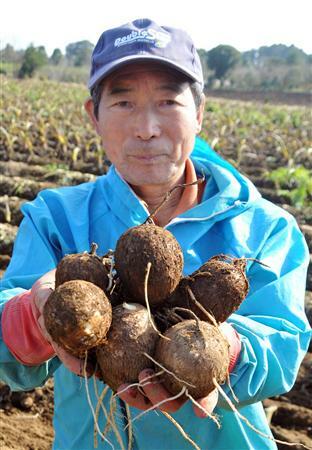 -Place deep-fried taro/sato imo on a grill or kitchen paper to take off exces oil. 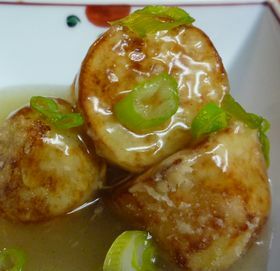 -Place taro/sato imo in a dish, pour the sweet and sour sauce all over it. 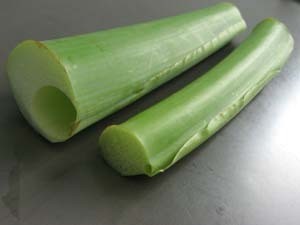 Top with chopped leeks and serve! Actually this particular posting is completely new and dedicated to my new veggie-crazy friend Kinzie!